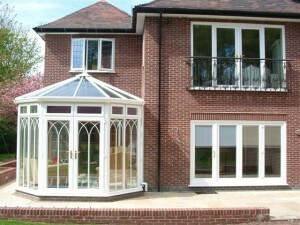 An essentially English design that incorporates a multi-faceted bay end for superb all-round views. In effect, a Victorian conservatory is much like an Edwardian conservatory but with one end which incorporates angled or curved facets. 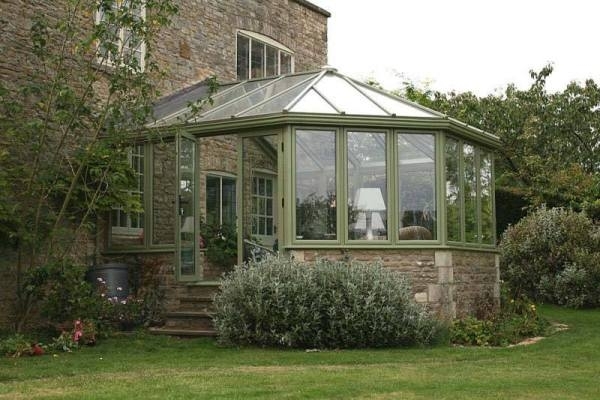 This is the most popular style of conservatory and has distinguishing architectural features such as a steeply pitched roof and ornate ridge and finial details. 3-facet Victorian in which the bay has three main windows, widely angled for maximum space. This style is suitable for the majority of locations. 5-facet Victorian with five main bay-front windows, creating a pleasing period profile with a subtle rounded appearance, offering the ideal blend of space and classical looks. Attaching conservatories to the rear of the home became popular in the mid-Victorian era. 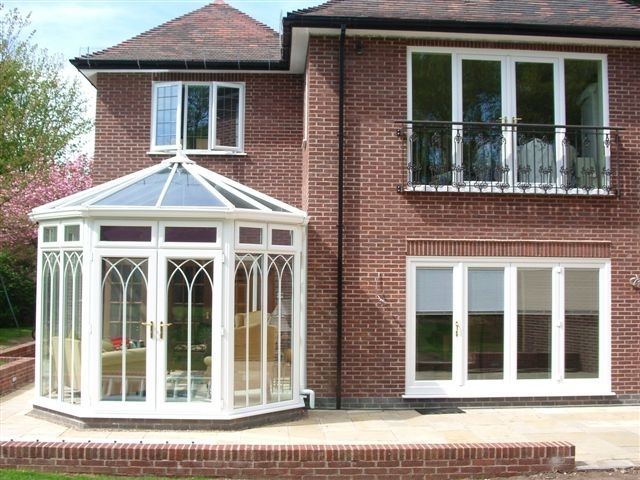 The reduction in cost of glass and the availability of cheaper iron works and new techniques in heating all combined to make the addition of a conservatory possible on even quite modest Victorian homes. In this, the heyday of the conservatory it became fashionable for Victorians to surround themselves with exotic plants and lavish greenery while sipping afternoon tea and relaxing in the fragrant atmosphere and timeless charm that only a conservatory could provide.